1. Intensification : شدت - سختی : (noun) action that makes something stronger or more extreme. 2. Asperity, Grimness, Hardship, Rigor, Rigorousness, Rigour, Rigourousness, Severeness, Severity : سخت گیری - شدت - سختی : (noun) something hard to endure. Karwai, Fail, Amal : Action : something done (usually as opposed to something said). "There were stories of murders and other unnatural actions"
Fauji Karwai : Action : a military engagement. "He saw action in Korea"
Qanooni Karwai, Qanooni Chara Jui : Action : a judicial proceeding brought by one party against another; one party prosecutes another for a wrong done or for protection of a right or for prevention of a wrong. Intaha : Extreme : the furthest or highest degree of something. "He carried it to extremes"
How this page explains Shiddat ? We help you understand the word Shiddat in English. We not only provide English meaning of شِدَّت but also give extensive definition in English language. 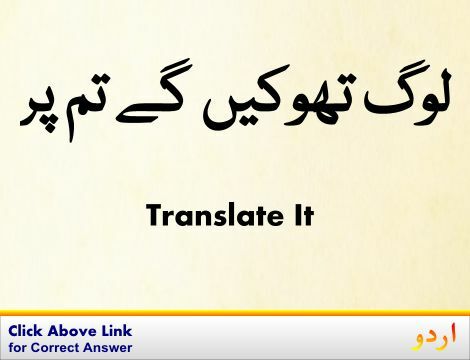 You can also find multiple synonyms or similar words along with Shiddat. You may also want to see Android app to get شِدَّت, please install Wordinn Urdu Android app now.